A two-hour-long police pursuit Sunday morning had law enforcement personnel chasing down a driver from Santa Cruz to Cupertino, ending in a standoff. The driver eventually surrendered to police, but not before stopping his vehicle and attempting to puncture a fuel tank, which would have caused an explosion, according to a California Highway Patrol officer. The ordeal began just before midnight when Santa Cruz CHP officers spotted a driver suspected of being under the influence maneuvering recklessly, police said. A chase ensued on northbound Highway 17 before the Santa Clara County Sheriff's Office took over the pursuit. 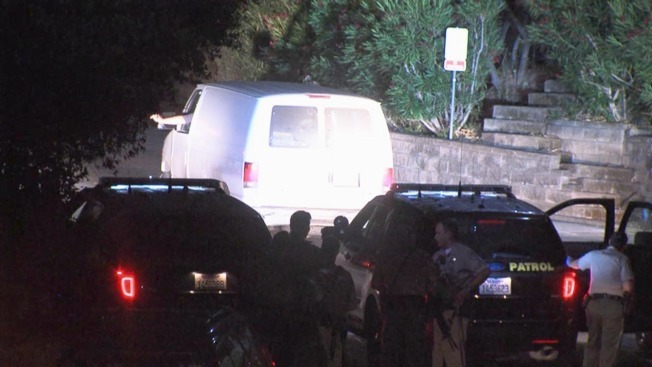 After stopping his vehicle on Bubb Road in Cupertino and refusing to get out of the van, the driver eventually gave himself up, police said. The driver was transported to the hospital to be evaluated and was booked into Santa Clara County jail on DUI and felony vandalism charges, police said.